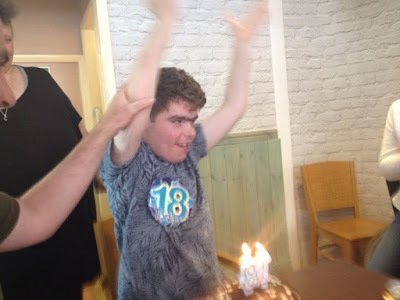 HCPT 101: Happy 18th Birthday James! Happy birthday to Group 101 member James Queally who celebrated his 18th birthday yesterday. James loves Group 101 and Lourdes more than anyone else in the world and he had a fantastic day with his lovely family.